Becky: “Today we went to the Houses of Parliament and watched Les Miserables. First we met with Laura in the central hall of Parliament. We listened to the Lord Speaker talk about her job and learned about the buildings. There was time to relax before we were interviewed by BBC and after that we headed to Les Miserables where we were treated to a VIP room with drinks and ice cream. 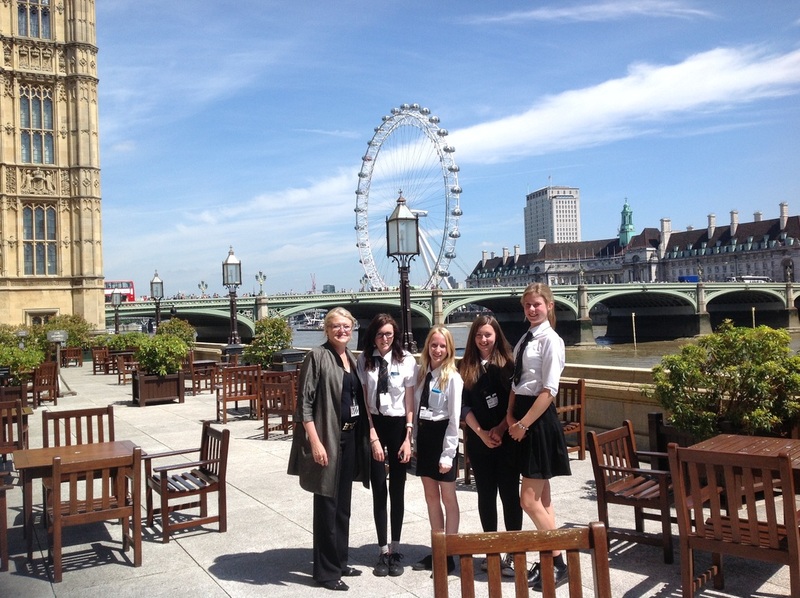 Gemma: “Today we got to go to the Houses of Parliament by train to meet the Lord Speaker. First we had a little tour of the spectacular place and then we got a chance to ask the Lord Speaker some questions. After we had lunch on the terrace. We then went to Les Miserables which was breathtaking.